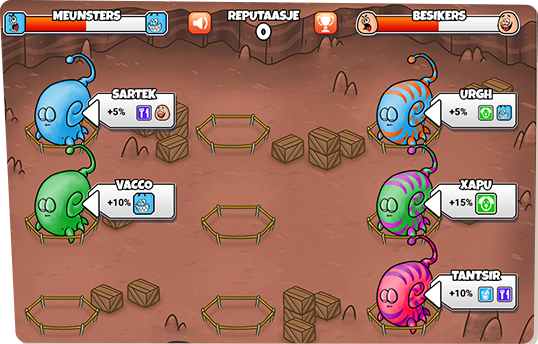 Simultaneously be the director, caretaker and researcher of your own Meunstertún, a zoo for monsters. 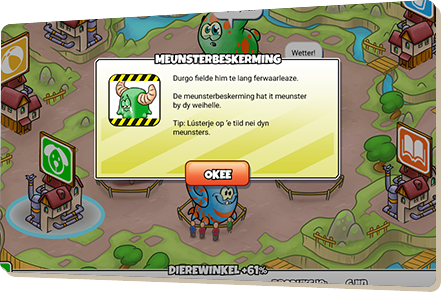 Learn to communicatie with your monsters, see them grow and develop and make your Meunstertún the most visited attraction in the world! 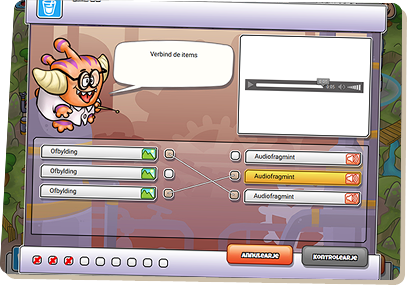 Meunstertún has been developed as a part of EduFrysk, a digital learning platform for the Frisian language. 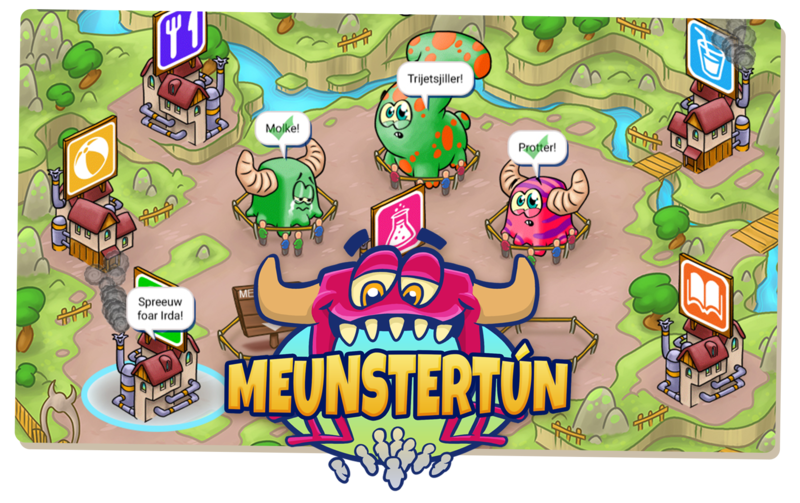 Learn Frisian spelling and grammar and expand your idiom by doing exercises and having interactions with the monsters in your Meunstertún. By interpreting your monsters’ language and by giving them what they ask for you can keep your monsters satisfied. You can expand on your monster collection by sending researchers into the world to learn to communicate with the monsters. As your Meunstertún grows and your monsters develop, your reputation increases and more and more visitors are drawn to your Meunstertún. Meunstertún has been developed for Afûk, a premier institute in Frisian education for grade and middle schools. Meunstertún targets the grade schools’ last classes. By using appealing content, nice visuals and funny audio we have created an expressive way for youths to better learn to express themselves using the Frisian language.